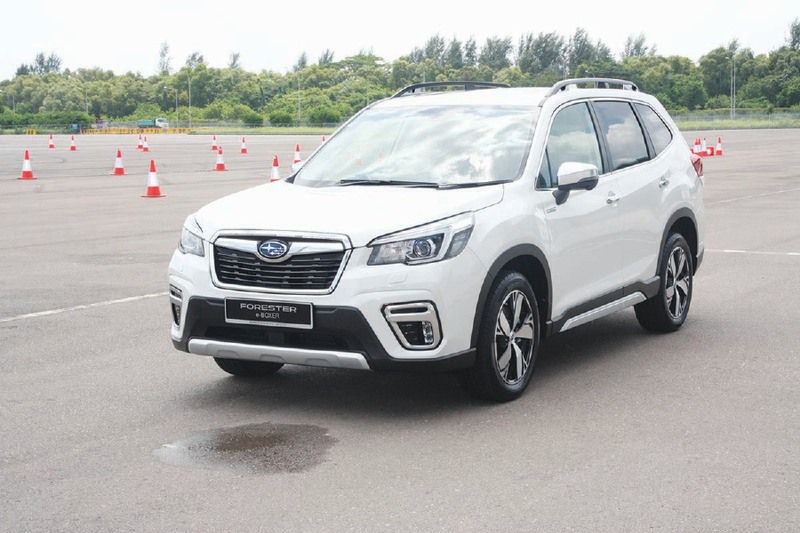 The new car has grown in size compared to the current iteration of Forester available in the Malaysian market and is now wider and longer, with an increased wheelbase and less overhangs. LAST week at the Singapore Motorshow, Subaru unveiled its new Forester e-Boxer, a hybrid version of the new Forester that was launched globally in March. The new, “greener” Forester e-Boxer is powered by a 2.0-litre, direct-injected flat-four petrol engine, producing 143hp at 6,000rpm with 188Nm of torque at 4,000rpm. Classified as a mild hybrid, the e-Boxer’s conventional petrol engine has been married with a 13.5hp electric motor (with 65Nm of torque) built into the Lineartronic CVT. The electric motor is hooked up to a 4.8 Ah lithium-ion battery, allowing the engine and electric motor to power the e-Boxer at lower speeds to improve fuel efficiency. Estimated fuel consumption is at 12.82km/L. The hybrid is built on the Subaru Global Platform, which can accommodate conventional, hybrid, plug-in hybrid and electric powertrains. On the outside, only a few badges denote the hybrid nature of the powertrain. It is worth noting that the new car has grown in size compared with the current iteration of Forester available in the Malaysian market and is now wider and longer, with an increased wheelbase and less overhangs. The all-new model now measures 20mm wider (1,815mm), 15mm longer (4,625mm) but sits 5mm lower (1,730mm). The wheelbase has been increased about 33mm (2,670mm), while the front and rear overhangs have been reduced by 10mm and 5mm. Grille of the Forester e-Boxer. The interior has been improved tremendously on this new platform. For the e-Boxer, while the interior remains mostly the same with the new model, there is an addition for information related to the hybrid powertrain. The 8-inch touchscreen Multi-Function Display incorporates a hybrid energy flow information display which assists drivers by visualising the power transfer. The Forester e-Boxer has a slightly smaller cargo space of 509 litres compared to the non-hybrid variants’ 520 litres. However, the electric components don’t seem to have taken away much space however. The back seats flip-fold 60:40 while the cargo floor is just slightly higher than the conventional ICE version. The e-Boxer seen at the testing ground in Singapore also incorporates Subaru’s EyeSight driver assist technology. Using two stereo cameras mounted high up on the windshield, EyeSight consists of a safety suite which consists of automatic pre-collision braking, adaptive cruise control and lane departure warning as part of its features. The system does not use radars as employed by other car manufacturers. 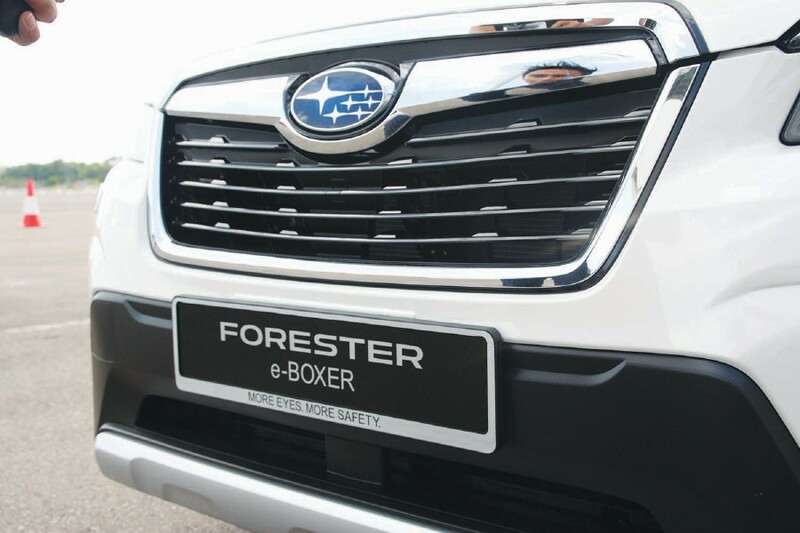 There have been no firm plans of bringing in the Forester e-Boxer into Malaysia to date. However, the new 2019 Forester is expected to make landfall by mid-2019. We had a brief session at the Changi Exhibition Centre in Singapore to test the abilities of the new Subaru. Interestingly, the organisers also provided a Honda Vezel Hybrid (HR-V equivalent in Malaysia) and a Toyota C-HR as contrast. These cars are perhaps not natural competitors in most automotive ecosystems, but in Singapore are perhaps the closest to the Subaru. The e-Boxer on the test track. 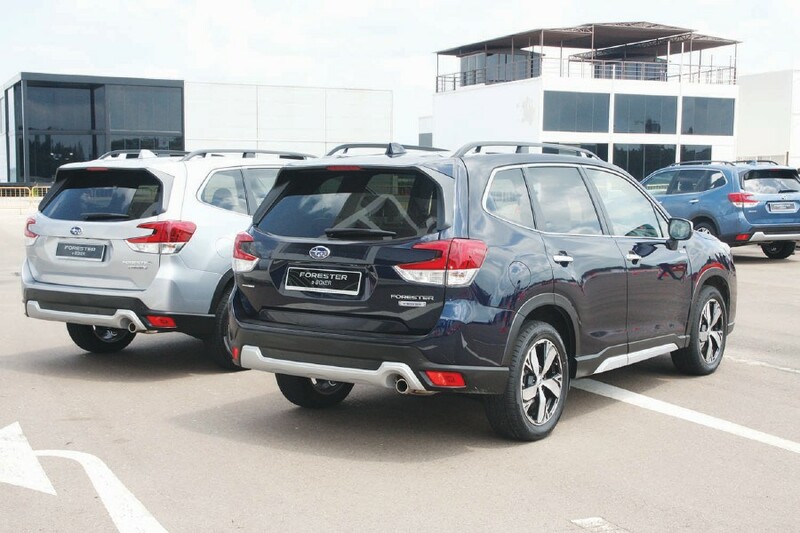 This is the first time we got behind the wheels of the new generation Forester and it is clear that Subaru engineers have been hard at work improving the popular SUV. Acceleration on the new Forester e-Boxer feels better. It is still no sports car, but the boxer spools up smoothly and with little drama. The tight circuit included a slalom and a small section of metal constantly being sprayed with water for a feel of driving on wet slippery surfaces. The Forester maintains its trademark surefooted poise even when being driven hard through the slalom section. Body roll is well controlled. Despite the additional weight of the electric componentry, the Subaru still seems to maintain a better than average ability to grip the tarmac. We’d have to take the e-Boxer out for a longer drive for a more comprehensive review of how it stacks up against the competition in the real world, but the brief session proved that this is one SUV the Malaysian market should look forward to.